I love hanging out with Bunson’s particular enthusiasm! Bunson: Feeling overwhelmed by the little things? Bunson smiles prances around a little. 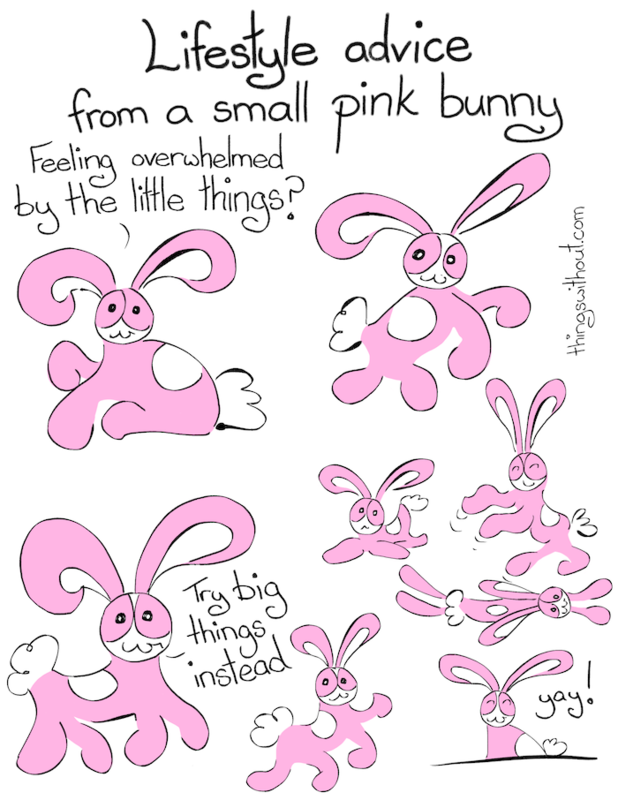 Bunson: Try big things intead!